The Battle of the Ages meet is meant to inspire some fun and friendly competition for the last meet of the year. So we’d be remiss if we didn’t wish all those in the 11-12 year age group Congratulations! This age-group dropped the highest percent of time off their seeds, which means they “win” the last dual meet of the year. But they weren’t the only ones to have a strong performance. There were solid swims from all age-groups. The time drops represent the awesome outcome from two weeks of strong practice effort. This definitely bodes well for the big championship meet of the season! Below are just a few highlights from the meet. Since we can’t recognize everyone, be sure to check out the full meet results. Konnor Klocke swam the 13-14 Boys 50 Free in :28.66 and the 100 Free in 1:04.67! Lauren Benson set the new 11-12 girls 50 Free record with a 28.82! Logan Neifert hit :34.78 in the 50 Back leg of the Medley Relay and 1:17.15 in the 100 Back, both personal bests! Tori Dudley going a :41.68 in 9-10 Girls 50 Back, a personal best and 1 second from the team record! Carson Hukill going a :24.68 in the 8 & Under Boys 25 Free and winning the event! Catherine Dooley set the new 13-14 Girls 200 IM and 100 Breaststroke records with times of 2:38.18 and 1.18.23 respectively! 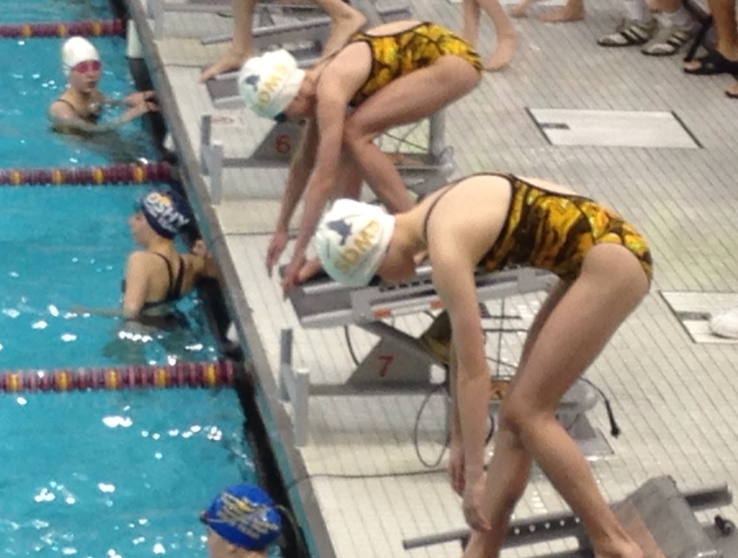 SDMS Championship Meet | July 27: This is the big one – the meet where swimmers get to see all their hard work pay off! Swimmers who place in the top 3 for their event will receive medals. Good luck Seahawks! Team Party | July 28: Time to celebrate another great season! Come to the team party for fun pool time from 5:30PM-6:30PM. Swimmers will be able to race coaches and go off the diving board. Parents are welcome to bring suits and join in on the fun to race their children in a parent vs. athlete relays. However – we ask that no food/drinks be brought to the pool.